This section of the website lists BC and Canadian mentoring and volunteering resources that have a settlement focus and that may be of assistance to organizations in creating programming. This website provides five key tips for starting a successful mentoring program. This webpage provides guidelines for Mentoring with Immigrant and Refugee Children and Youth. This webpage provides a toolkit and resources to create a community based mentorship program. Mentoring Canada offers a free self-paced course designed for organizations interested in starting a mentorship program. A toolkit on creating and sustaining quality youth mentoring programs and consequently, impactful mentoring relationships can be found on this webpage. The Teen Mentoring Toolkit is a resource designed for schools and community organizations choosing to engage students in creating a welcoming, caring, respectful and safe community through positive mentoring relationships. Mentoring Immigrant Youth: A Toolkit for Program Coordinators is a comprehensive resource that is designed to offer program staff important background information, promising program practices and strategies to build and sustain high-quality mentoring relationships for different categories of immigrant youth. This report describes existing mentoring programs for immigrants in the Ottawa region. It also identifies best practices in other Canadian municipalities and presents a collaborative model for delivering mentoring-to-employment programs for skilled immigrants in Ottawa. 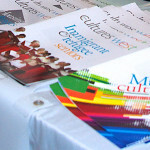 This webpage provides resources to create a mentorship program for skilled immigrants. This report, commissioned of MPI Europe by the King Baudouin Foundation, highlights a number of relevant “classic” one-on-one mentoring practices in Europe and North America, focusing on the role of different initiators and stakeholders, forms of collaboration, methods, and target groups. This research paper analyzes various strategies for recruiting and retaining volunteer mentors. This Research Corner presents a set of ethical principles to guide volunteer mentors and the program staff who advise them as they strive to build meaningful and growth-promoting relationships with their mentees. This Research Corner analyzes the relationship aspect of mentoring and draws on concepts and research of relationships in a counseling setting. This research paper explores the module of applying examples of mentorship to stimulate dialogue on how such aspects can contribute to creating a culture of mentorship. Volunteer Canada is the national body for volunteerism in Canada. Volunteer BC is the provincial body for volunteerism in British Columbia. 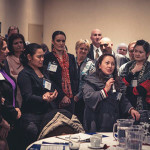 Taking advantage of the link between employment and volunteering, Volunteer BC along with several partners such as Community Volunteer Connections developed the Culturally Welcoming Volunteer Program (CWVP) to assists non-profits to successfully recruit and retain immigrant volunteers and attract immigrants as paid employees. The Canadian Journal of Volunteer Resources Management (CJVRM) is a nonprofit publication highlighting the management of volunteer services in Canada. This guide was developed as part of a project for the Community Support Centre of the Canada Volunteerism Initiative. The purpose of the project was to determine how the Canadian Code for Volunteer Involvement could be adopted for use in the north and in other rural regions. The report provides insights into how and why Canadians volunteer using data from the National Survey of Giving, Volunteering and Participating (NSGVP).